The birth of the Institute of Banking Personnel Selection (IBPS) is associated with the historic event in the economic history of the country with 14 banks acquiring the nationalized status, followed by the establishment of NIBM as research and training institute for all Public sector banks at the same time. Succeeding the nationalization of the banks it was required to spread the banking sector across the country so as to make it accessible to each and every one. In order to do so the need for recruiting the right set of people for the right jobs. The system at the same time had no clarity on the recruiting regulations, standards and policies were not uniform. Banks being public sector organizations so the foremost priority for them was public accountability. So it was highly needed by them to adopt a system that was fair, unbiased and would hire the individuals fit for the job. The banks undergoing the expansion process the vacancies advertised got hoards of applications to be processed, the handling of which was out of the scope of the personnel department of the banks.who could handle limited.A solution was implemented on a test basis in some parts of the country which subsequently got acceptance by the governing body. The subsequent acceptance by the banking sector led to the constitution of a small Personnel selection Service (PSS) to handle this project. A few years later in the year 1984, the same unit was converted to IBPS. The IBPS Clerk 2019 exam shall be conducted to fill the 7275 positions across the nation. The selection shall be based on a preliminary and the main examination. The preliminary examination shall be for qualification only followed by the main examination where the marks shall be counted towards the main result. It shall be mandatory to show proficiency in the language of the state the candidate is applying for. Also, there is no personal interview for the selection of the clerical posts. 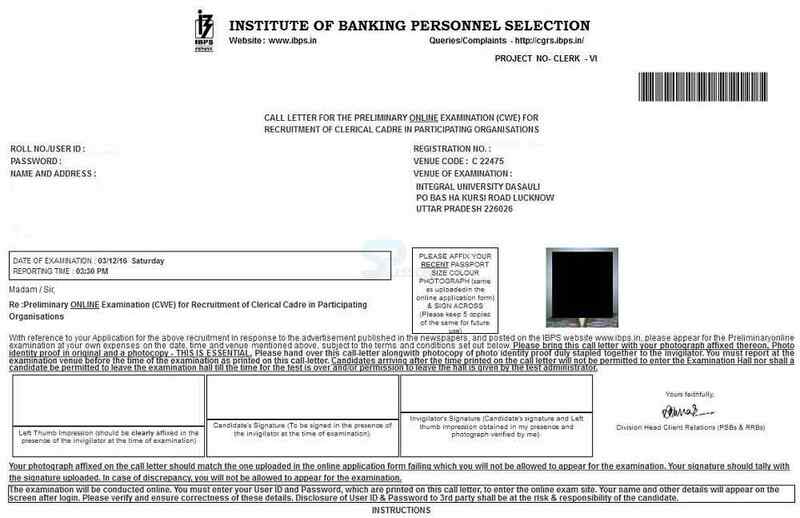 IBPS has also issued the deadline dates for the application of the online form and subsequent formalities. The registration process shall be through online mode only and there would be single registration for both Preliminary and Main Examination. The candidates are required to upload the following documents as per the required specifications online. Besides candidates are advised to visit the IBPS official site www.ibps.in for additional notifications. In order to accommodate over 30 lakh candidates, IBPS has shortlisted more than 36 cities nationwide to conduct the exams smoothly. In addition to the main and prelims exam centres, the exam authority will also release 60 exam centres list for pre-training to a limited number of candidates belonging to Scheduled Caste/ Scheduled Tribes/ Minority Communities/ Ex-Servicemen/ Persons with Benchmark Disabilities. The minimum age limit is 20 years and maximum 28 years. i.e. a candidate must have been born not earlier than 02-09-1990 and not later than 01-09-1998 (both dates inclusive). The candidates shall be required to qualify in each test as per cut-off marks determined in each test. Each candidate will have to secure a minimum score on each of the tests as well as on the Total if necessary, to be considered to be shortlisted for Main Examination. Depending on the number of vacancies available, cutoffs will be decided and candidates will be shortlisted for Main Examination. However, the decision of IBPS in this regard shall be final and binding upon the candidates. The candidates shall be required to qualify in each test as per cut-off marks determined in each test. Each candidate will have to secure a minimum score on each of the tests as well as on the Total to be considered for provisional allotment. However, the decision of IBPS in this regard shall be final and binding upon the candidates. THERE WILL BE PENALTY FOR WRONG ANSWER MARKED BY YOU IN THE OBJECTIVE TESTS. There are five alternatives in every question of a test. For each question for which a wrong answer has been given by you, one-fourth or 0.25 of the marks assigned to that question will be deducted as penalty. If a question is left blank i.e. no answer is given by you there will be no penalty for that question. YOU SHOULD THEREFORE BE CAREFUL IN MARKING YOUR ANSWERS. Candidates should be aware and follow instructions at the IBPS Clerk exam centre 2019 for the exam day. 1. 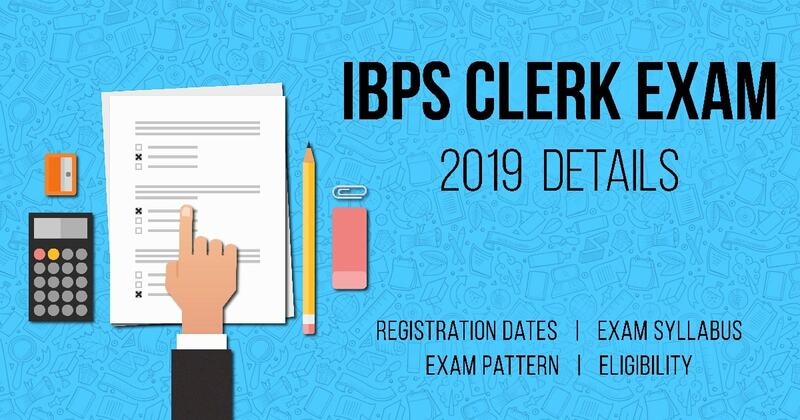 IBPS Clerk Admit Card 2019 must be present with the candidate at all times at the IBPS Clerk exam centre. 2. The appearing candidates have to be there at the IBPS Clerk 2019 exam centre, 40 minutes before the asked time to report. 3. Electronic devices such as calculators are not permitted in the IBPS Clerk 2019 exam centre and it will lead to cancellation of the examination of the respective candidate at the IBPS Clerk exam centre. 5. All the candidates will not be allowed to leave their respective IBPS Clerk 2019 exam centre till the ending of the test. 6. The IBPS Clerk 2019 exam centre rules should be abided by the candidates strictly at all times. 8. Candidates are advised to note carefully the exam timings, IBPS Clerk 2019 exam centre and the session to reduce inconveniences. 9. A valid photo identity proof with its photocopy and the IBPS Clerk admit card needs to be carried to the IBPSClerk exam centre else candidates will not be allowed to enter the exam hall and sit for the exam. A candidate is required to pay Rs. 600/- (General and OBC) as their application fee for IBPS Clerk 2019 exam. The same amount is narrowed down to Rs. 100/- for candidates belonging to SC/ST/PWD category. 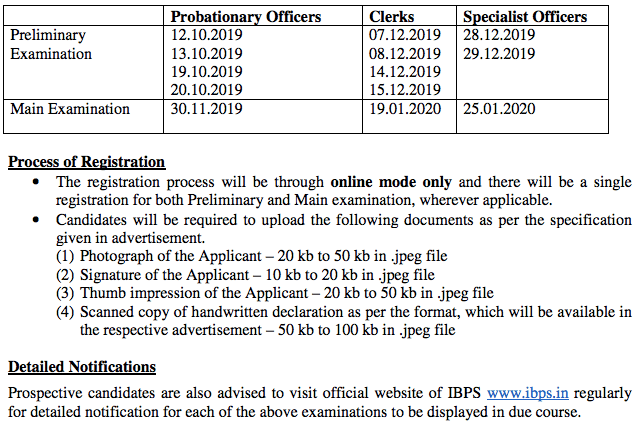 The result for IBPS Clerk 2019 will be declared separately for Prelims, and Mains. The result will be declared after every stage of examination been conducted under IBPS Clerk Recruitment Process 2019. There is no interview in the IBPS Clerical exam. The exam is divided into Verbal, Quantitative, General Knowledge, Computer Knowledge and Reasoning which require a diligent strategy to master the subject and ace the exam. Here are some tips to cover the topics.